Legend of the Eight Samurai is an adventure fantasy film that was released in 1983. A horrible witch uses zombies to attack a princess, which results in her being kidnapped and her family murdered. This leads to ancient crystals calling eight samurais from the past to adventure to save the princess. The samurais have to make their way to the princess before she bathes in her blood to restore her youth. Once they get to the castle walls they have to make their way past various spells and monsters. Legend of the Eight Samaurai feature performances by Hiroko Yakushimaru, Hiroyuki Sanada, and Shin'ichi Chiba. 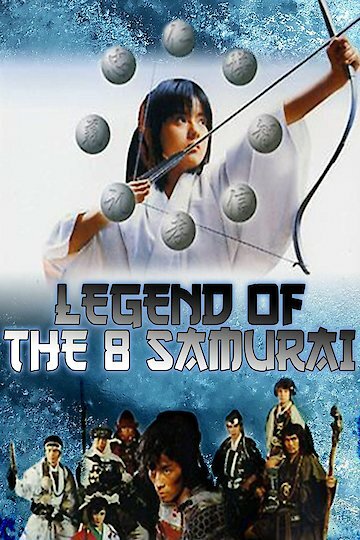 Legend of the Eight Samurai is currently available to watch free on Tubi TV and stream, download, buy on demand at Amazon Prime, FlixFling, FlixFling VOD online.